Delhi University has announced the schedule for announcement of cut-off lists, verification of documents, approval of admission in colleges and payment of admission fee for merit-based courses. 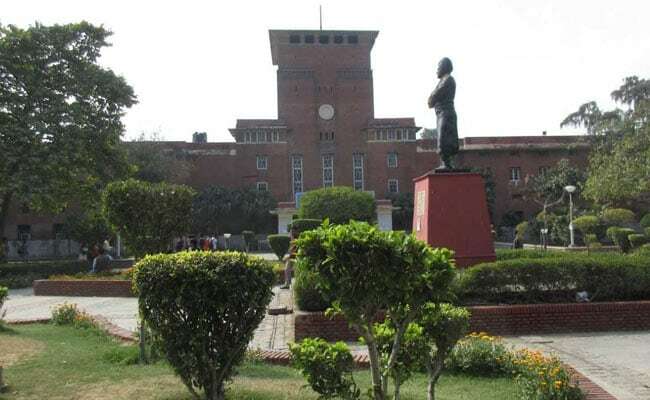 New Delhi: Delhi University (DU) undergraduate (UG) admission process will start soon. Meanwhile, the university has announced the schedule for announcement of Cut-off lists, verification of documents, approval of admission in colleges and payment of admission fee for merit-based courses. According to the schedule released by University of Delhi, the first cut-off for UG admissions will be released on June 19 and the admission based on the first cut-off will be allowed from June 19 to June 21. For Delhi University's entrance-based courses, the online registration will begin from May 15 and will be continued till June 7. The schedules of entrance exams and counselling/allotment will be released soon, said a notification from DU. For document verification and approval of admission in Delhi University colleges, following timing will be observed. Morning College: 9.30 a.m. to 1.30 p.m.
Evening College: 4 p.m. to 7 p.m. According to Delhi University, after approval of admission, the applicant has to log on to the undergraduate admission portal to make online admission fee payment. This may be done till 12:00 noon of the day of the last day of that cut-off in which applicant is taking admission. The university has announced schedule for five cut-off lists so far, however, further cut-offs / spot counseling schedule may be declared depending on the vacant seats later. "The schedule of admission of Children/Widows of the Officers and Men of the Armed Forces including Para-Military Personnel, Killed/Disabled in action or those who died/were disabled on duty, Gallantry Awardees, Ex-Servicemen, Serving personnel for admission to Undergraduate Programmes for the academic session 2018-19 will be announced soon," said the schedule. Delhi University has also released the schedule for women applicants seeking admissions to the Non-Collegiate Women's Education Board (NCWEB). Online registration for NCWEB admission will be done between May 15 and June 7, while the first list will be released on June 30.